The weights are in for tomorrow night’s WBC heavyweight title fight between champ Deontay Wilder and challenger Chris Arreola – Wilder tipped-in at a fraction above 226-pounds at 226.2, while Arreola came in at 246.2, a decent weight for him. 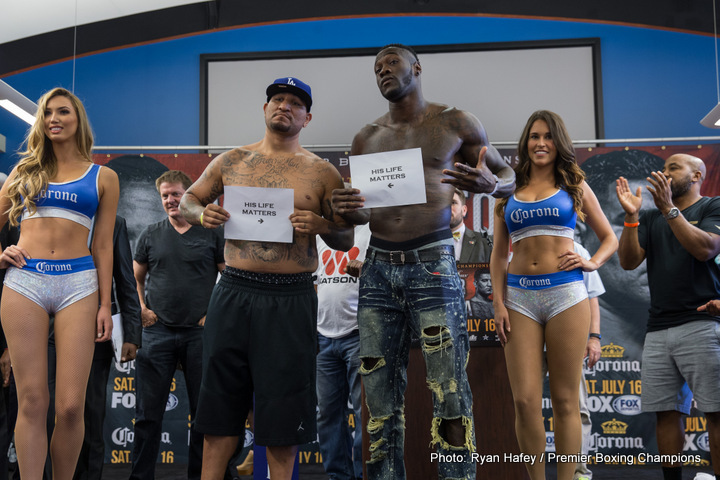 Wilder looked chiselled, Arreola looked like, well, Arreola. The challenger has trained hard for this fight though – it’s his last chance and he knows it. 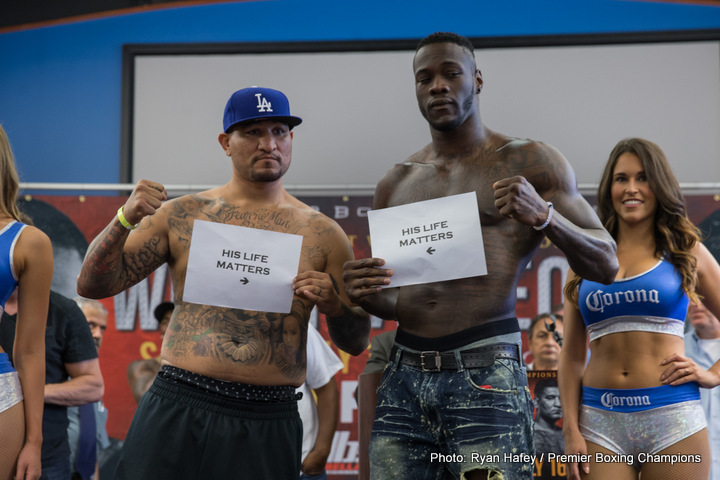 As reported by AL.com, the two will receive vastly different paydays: Wilder will collect $1.4 million, Arreola will get just $150.000. 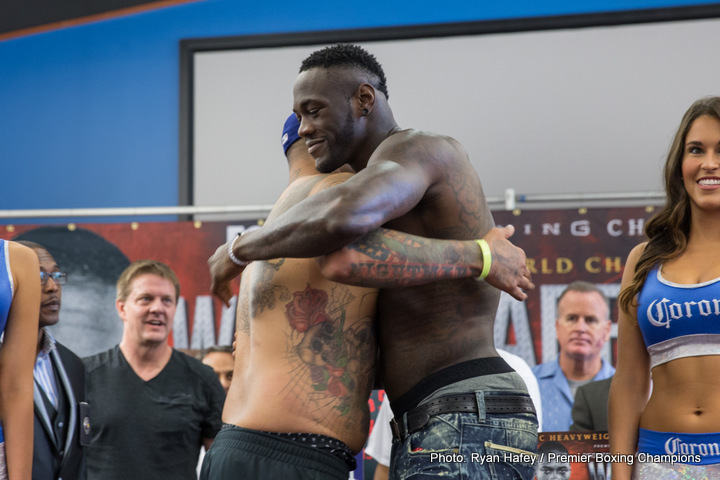 But for Arreola, this fight is about so much more than money. Arreola has always been motivated by history, with his goal of becoming the first ever Mexican/American world heavyweight champion. 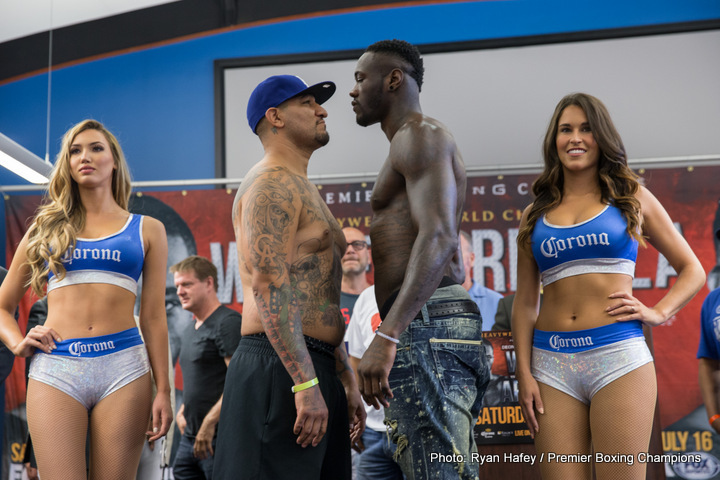 With the shot at Wilder being his third chance, “The Nightmare” knows he must make the absolute most of tomorrow’s potentially exciting fight – the sole heavyweight world title fight that will go down over this year’s summer period. Can Arreola score a massive upset tomorrow, or will the unbeaten Wilder score his 37th victory, his 36th KO and register his fourth successful title defence? This one has fireworks written all over it, for however long it lasts. Arreola, 36-4-1(31) will not become the biggest heavyweight title challenging underdog to have scored an upset if he can pull it off tomorrow, but he will have revived his career in a huge way. Both fans of the underdog and fans of a courageous slugger have to be pulling for Arreola. But Wilder will take some beating.